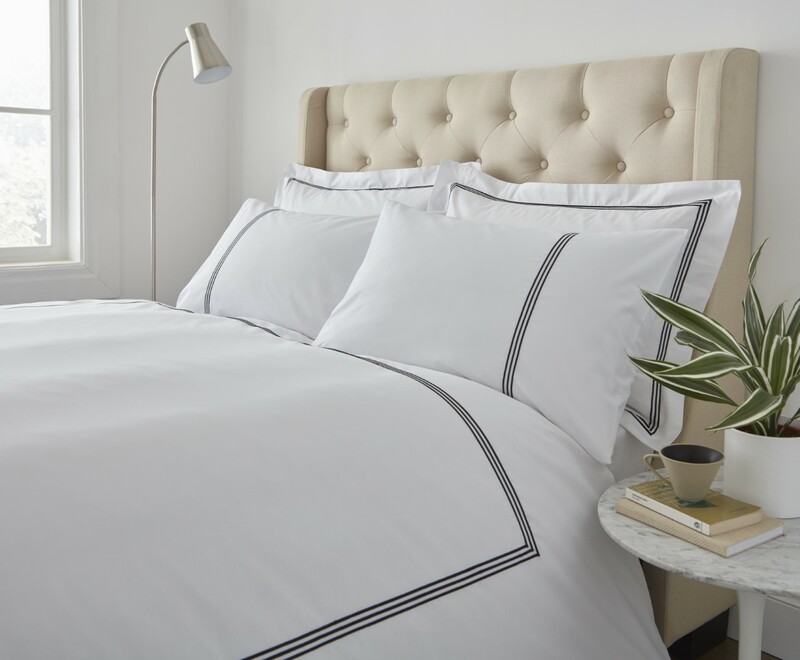 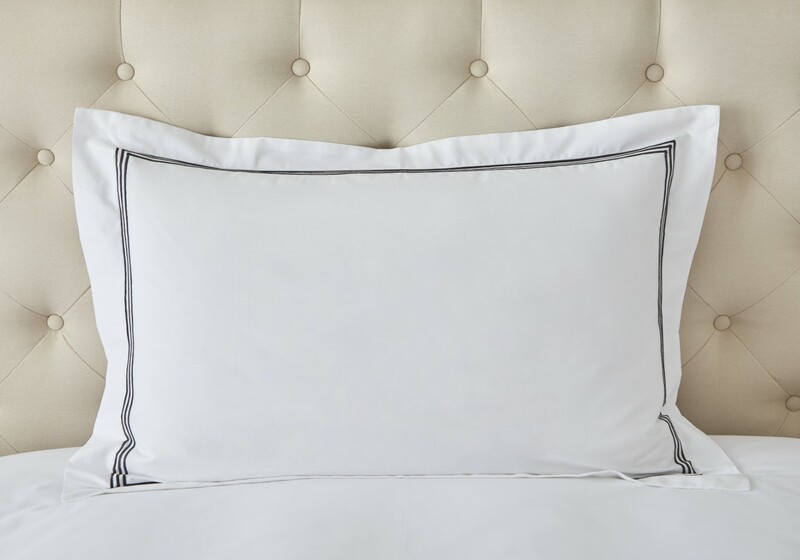 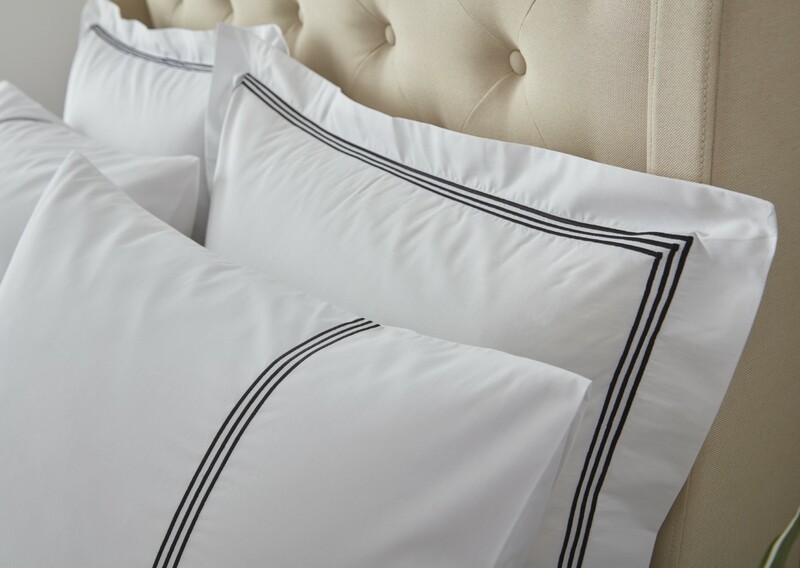 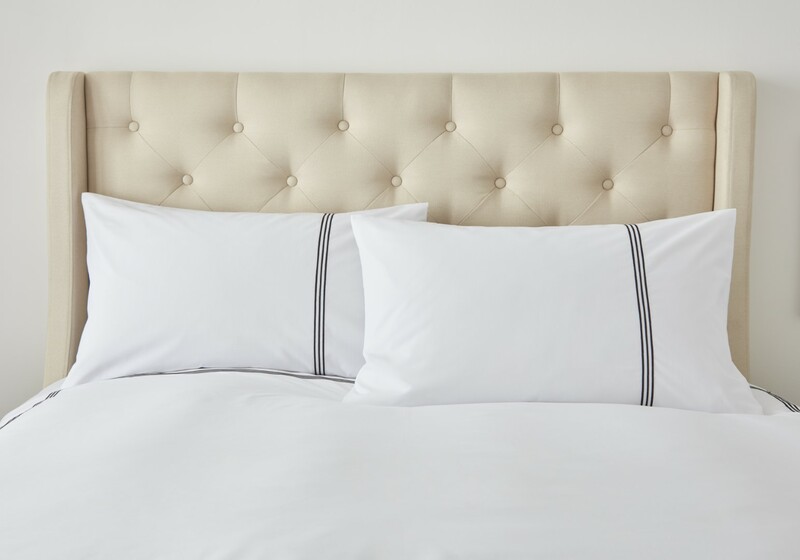 Abingdon form Charlotte Thomas a new addition to the Hotel Collection, made with luxurious 180 thread count 50% Cotton 50% polyester percale, with combed yarns, features a deep dark charcoal, almost black, triple row embroidered stitch. 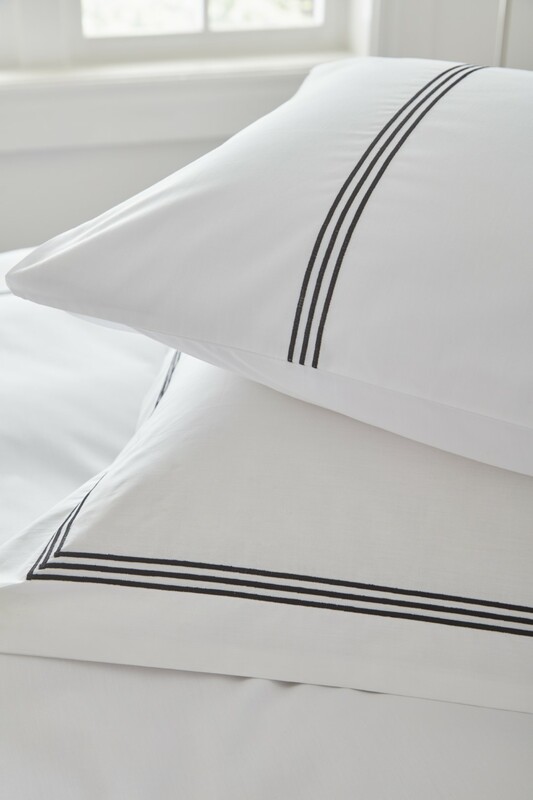 T180 50/50 polycotton. 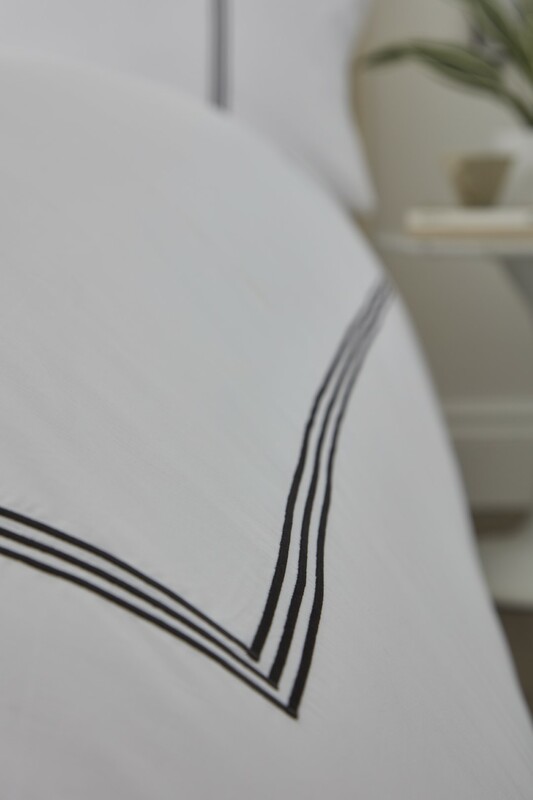 Duvet cover: metal stud fastening.